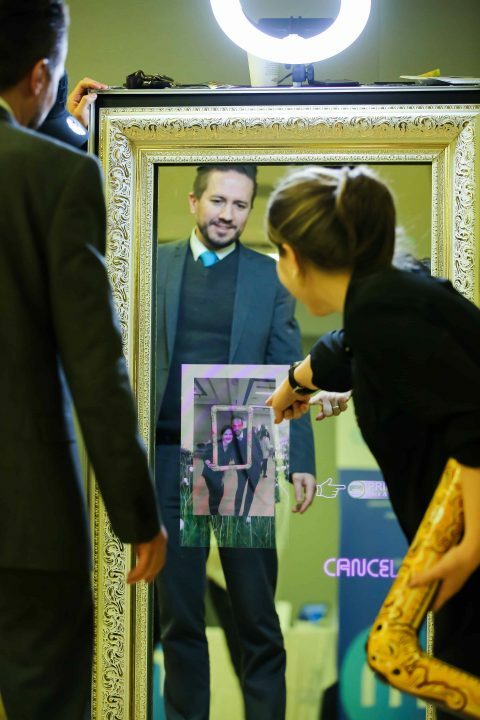 What is the Selfie Magic Mirror Photo Booth? The Paparazzi VIP Magic Mirror Photo Booth (otherwise known as Selfie Mirror, Magic Selfie Mirror, Magic Mirror), is a high end alternative to the “old style large booth box”. Our VIP photo booth is the latest generation fully gesture controlled, open air photo booth, standing at 1.6m in height and under 1m in width for those large group shots. The VIP Magic Mirror looks stunning and chic in any environment and your guests will love it. Talk or even wave to the mirror and your photos will begin. Watch how it magically prints your photos on the side of it. 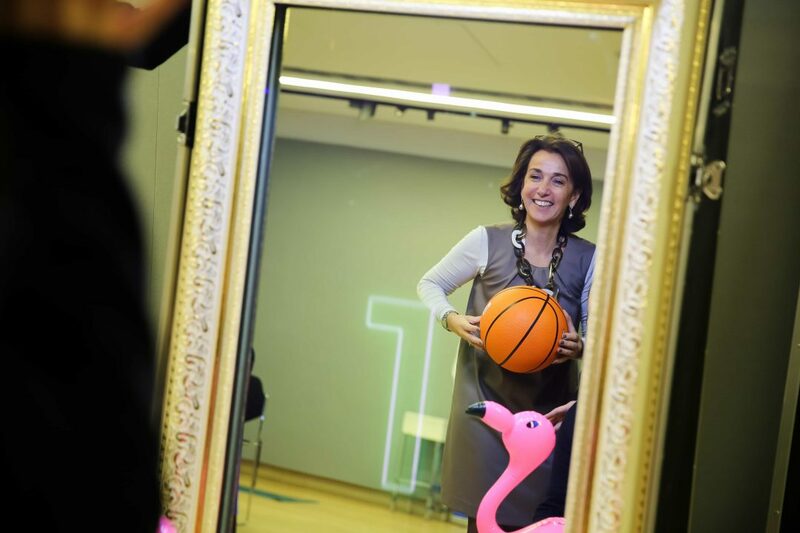 The Magic Photo Mirror captures a full length head to toe image. Stand as close or as far away as you need to take fit as many people in the picture as possible.